The CDC (Centers for Disease Control) never learns because they do not want to learn. And now that we are right in the middle of flu season people will pay with their lives. Health officials said that 32 people under 65 died from flu in the last seven days, making it the deadliest week of the season so far. Thirty-two states also reported high patient traffic, making it the busiest week for flu symptoms in nine years. On the 12th of January, the CDC announced a first in its 13 years of flu monitoring: As of Jan. 6, every part of the continental U.S. showed “widespread” flu activity. The flu is so widespread, in fact, that the agency has declared it an epidemic, and urged those who have not been vaccinated to seek out the flu shot, which is a bad idea, not only because it has neurotoxic mercury but also because at best it is only 30 percent effective, according to CDC officials. “This is the first year we had the entire continental U.S. be the same color on the graph, meaning there’s widespread activity in all of the continental U.S. at this point,” CDC Influenza Division Director Dr. Dan Jernigan said during a briefing on Friday. “It is in a lot of places and causing a lot of flu.” The hospitalization rate is currently at 22.7 people per 100,000 U.S. residents. The CDC has called the 2017-2018 flu an epidemic and in England it’s a pandemic filling up hospitals until its standing room only. They are reporting that more than 50 patients at a time had been left waiting for beds in casualty units, with 120 patients a day being managed in corridors and “some dying prematurely.” The Flu, while causing mild disease in a lot of people, can also cause severe disease and death in others. The flu may also exacerbate existing chronic conditions, particularly among older adults, which can lead to complications and death. If you see a doctor within 48 hours of developing these symptoms, you may be able to take antiviral medications, such as Tamiflu, which may shorten the course of the illness by only one day. Tamiflu is and has always been a big mistake! As soon as flu vaccinations start next month, some people getting them will drop dead of heart attacks or strokes, some children will have seizures and some pregnant women will miscarry. – New York Times 2009. “People tend to underestimate the effects of flu (and doctors underestimate the dangers of vaccines), but it puts several hundred thousand people in the hospital every year. It can kill up to 50,000 people every year, and there are certain groups—people with underlying medical conditions, the elderly and the very young—who are at risk for severe illness from flu,” said Dr. Michael Jhung, a flu expert at the U.S. Centers for Disease Control and Prevention. 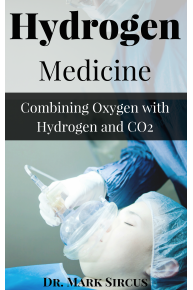 What an important part of this essay is about is Hydrogen Medicine, and how inhaled hydrogen gas, especially, when administered with oxygen, will save the day in medical centers, and at home too when one has a severe flu. It will be hard to die of the flu if you are hooked up to a hydrogen inhaler. This is just the tip of the iceberg in terms of what Hydrogen Medicine will do to the future of medical practice. Page two of this essay concentrates on the protocol that stands behind hydrogen, substances already used in intensive care centers like sodium bicarbonate, magnesium chloride or sulfate, iodine, oxygen, carbon dioxide (and excellent and essential medicine because it moderates oxygen) and let’s not forget injectable selenium. You must add to the list glutathione, infrared therapy and the best water one can make. Add medical marijuana to reduce suffering from symptoms and we have a full medical protocol no pharmaceuticals needed. We need to understand why hydrogen is the contest winner for best medicine for the flu. The primary symptoms of a cytokine storm (what kills the patient with influenza) are high fever, swelling and redness, extreme fatigue and nausea. 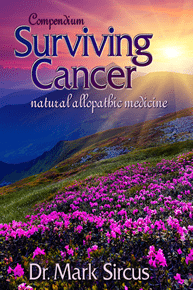 In some cases, the immune reaction may be fatal. 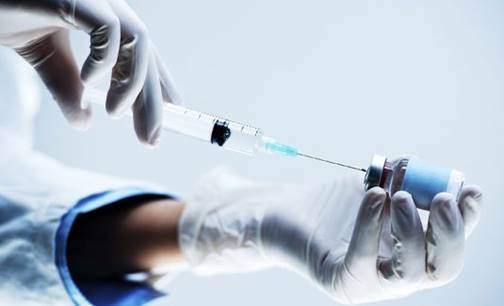 To stop the cytokine storms and acute respiratory distress syndrome (ARDS) that can lead to death, we have to turn away from the orthodox medical responses of using vaccines and drugs like Tamiflu, which do not prevent any of the reported deaths from the flu. What is the first thing the fire department does when its trucks arrive at a fire? They pull out the hoses, connect to the hydrants, and pour tons of water onto the nastiest fires. In the medical world, the equivalent is hydrogen, which too can be flooded into a dying body to put out the flames of inflammation and oxidative stress. In the future, hydrogen will become as important in hospitals as oxygen. Of course, there are other excellent therapies to avoid the worst symptoms and pains of the flu with infrared therapy being at the top of the list. Jumping on a Biomat when suffering from the flu is like jumping into heaven. It is the only place to be during a flu attack; crashed out on a Biomat! In terms of hydrogen delivery best approach would administer hydrogen and oxygen gases with an inhaler as well as hydrogen water for full hydration. See part two for a full flu protocol.